Shokutsu Ten Japanese Food Street has moved into the city with the opening of its third outlet at Great World City. 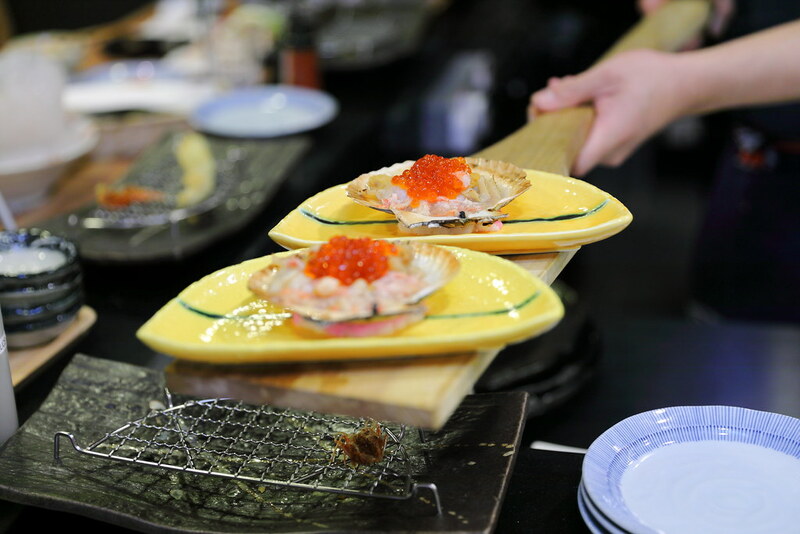 The Japanese food enclaves at its third venue presents 5 food, beverage and retail brands under one roof. 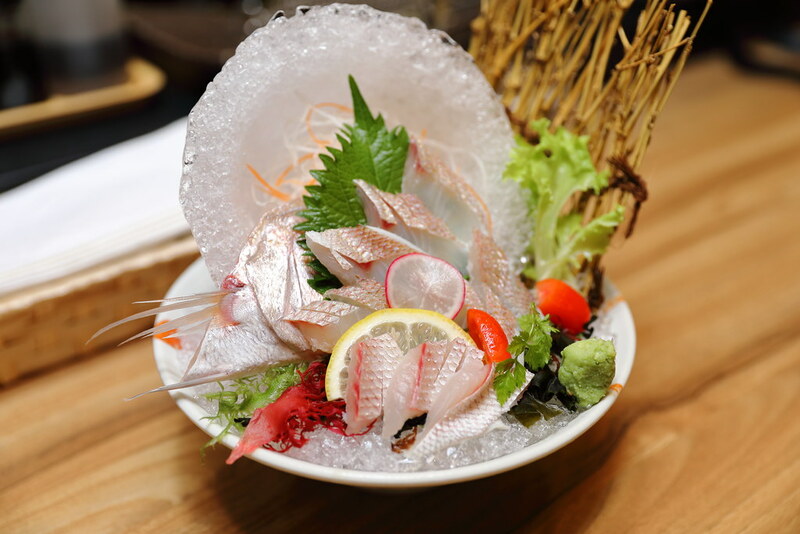 Joining Ichiban Boshi and Kuriya Japanese Market in the expanded area at the basement of Great World City is Ami Ami, helmed by award-winning Master Chef Naoki Tsuzuki. Diners at Ami Ami can enjoy seasonal catch freshly air-flown from Japan thrice weekly. 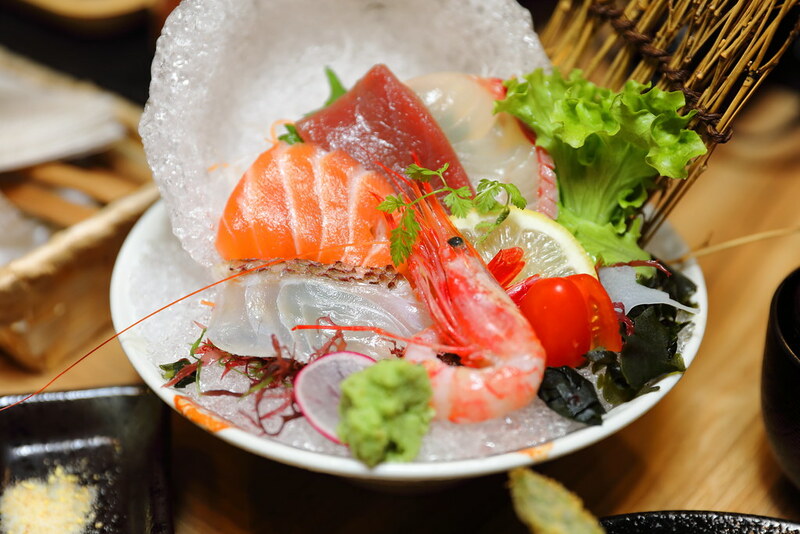 With freshness that is flown in thrice weekly, we just have to try the sashimi at Ami Ami. We had the Fuji Sashimi 5 Kinds ($26.80) that consists of Maguro, Salmon, Sawara Aburi, Kampachi and Tai. For the pricing, it is quite a steal. Diners can select from the variety of freshly flown seasonal catch and request the kitchen to have the Fish Done In Two Ways (Seasonal Price). We had the Kodai (Sea Bream) which is first served in sashimi to enjoy the natural quality and flavour. 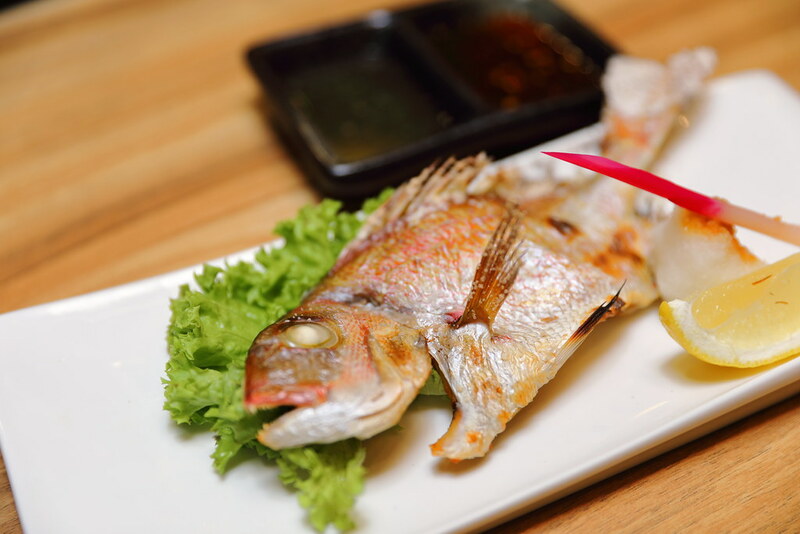 The other half of the sea bream is lightly seasoned with salted and grilled to perfection. It was moist and sweet. 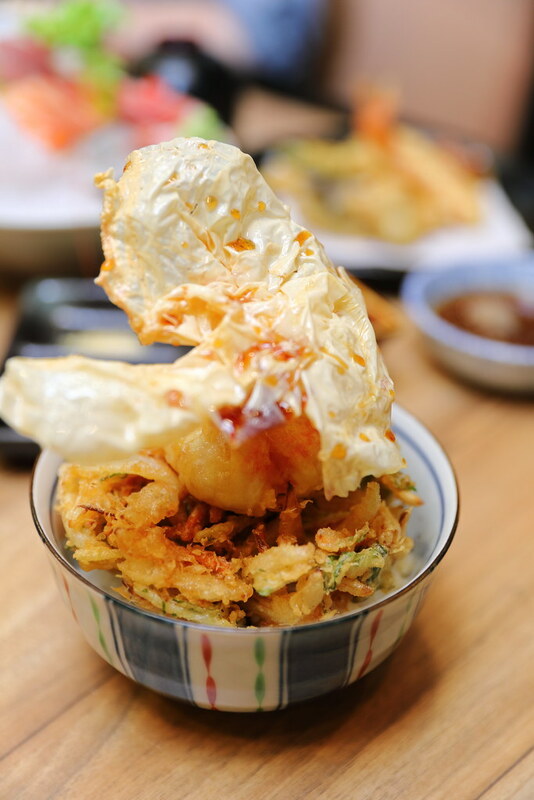 An original creation by Chef Tsuzuki is the Egg Tempura & Vegetable Kakiage Tempura Rice Bowl ($6.50). The centerpiece is the onsen egg wrapped in deep fried beancurd skin. Break the yolk and one can dip the tempura into the runny yolk or mix it together with the rice for a fuller enjoyment. 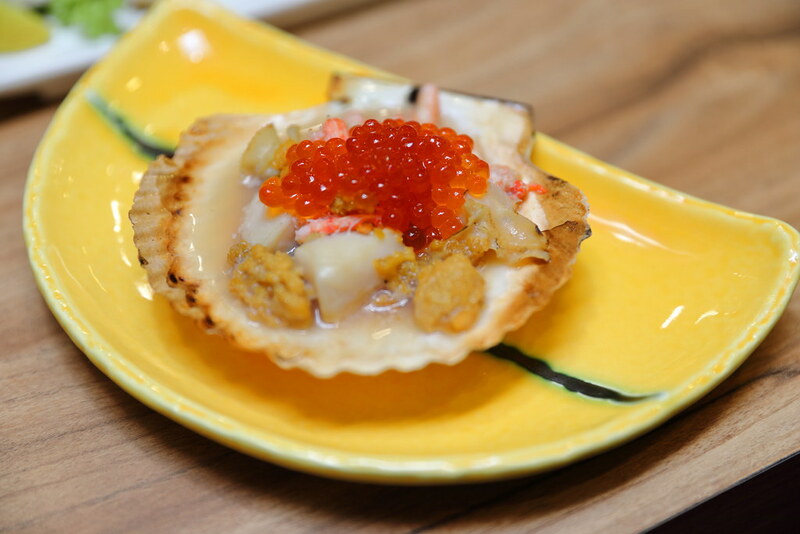 From the robatayaki menu, one can have the Live Scallop Robatayaki with 3 Toppings ($19.80) which is charcoal grilled and topped wit crabmeat, sea urchin and salmon. It looked really appetising but I thought it fell short of expectation. I have also never like the idea of cooking sea urchin, the sweetness always seems to be lost under heat. It just a waste for such premium ingredient. Can't decide what to order at Ami Ami? 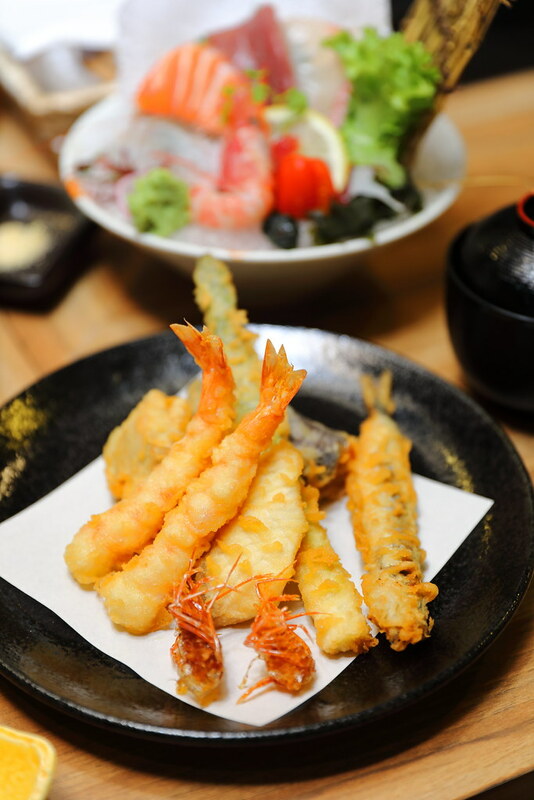 To make it easy, you can go for the Ami Ami Set ($45.80) which consists of sashimi of the day, charcoal-grilled live scallops, prawn, chicken, fish & vegetable tempura, egg tempura & vegetable kakiage tempura rice bowl, miso soup and pickles.